Sainsbury’s have made two licensing applications to Ealing Council to open supermarkets in the South Acton area operating for 24 hours a day, seven days a week. 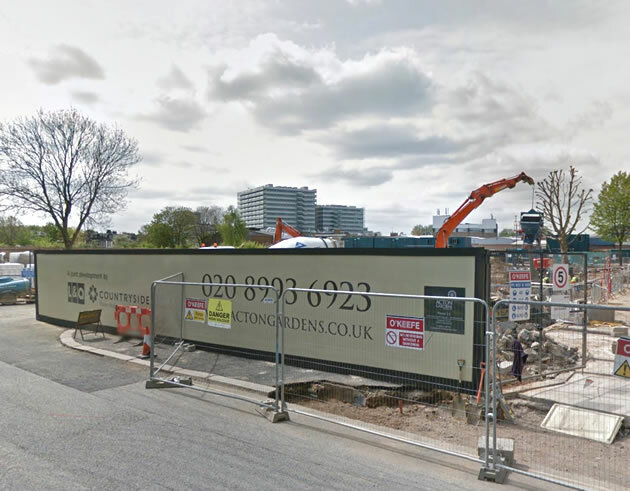 Both applications are in the area of the Acton Gardens development. A spokesperson for Sainsbury's says that they intend to open a store on Palmerston Road on a temporary basis while a store on Bollo Bridge Road is completed. They do not intend to operate the two stores at the same time. The first application is for premises on ‘14 Bollo Bridge Road Acton London W3 8YF Southall Broadway’ but it is also listed as being at 142 Bollo Bridge Road which is a site under development as part of the massive housing scheme. This application was received on 7 March and is for 24 hour operation 7 days a week and for the supply of alcohol from 7am to 11pm. The second application is for Unit 43 Alacia Court Palmerston Road Acton W3 8GJ which is part of a newly build block just north of South Acton London Overground station. The opening hours and hours during which alcohol can be served are the same as the other application. This application was submitted on 3 March and is open for consultation until 31 March. Any comments about the application can be sent to licensing@ealing.gov.uk. Licensing applications in the borough are publicised in the Ealing Gazette.